On April 11, Gov. 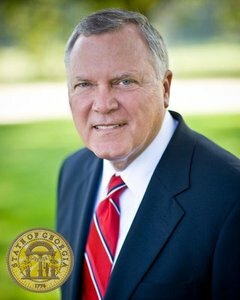 Nathan Deal signed Senate Bill 323 (SB 323) into law, which allows collegiate athletics offices 90 days to respond to public records requests. Before SB 323, all collegiate offices had 3 days to respond to records requests. An added 87 days has stirred up controversy surrounding disclosure of information, raised concerns about the secrets of the recruiting process and affects accessibility to obtaining records. According to UGA’s athletic director, Greg McGarity, the law is aimed at granting a time extension to the college sports recruitment process. He said the new law allows helps to facilitate the amount of incoming requests. The bill, was dubbed “The Kirby Law” after Kirby Smart, the University of Georgia’s new football coach who inspired it’s creation. Smart spoke with state legislators about the issue which linked him to the amendment, but said he should not receive any credit for SB 323. “No other public agency in Georgia is given 90 days to conduct business in secret,” she said. According to The Telegraph, Georgia State Rep. Earl Ehrhart, R-Powder Springs, said ,”It just allows us to play on the same field as Alabama and everybody else,” referring to the bill allowing opportunities to help hide recruitment information.